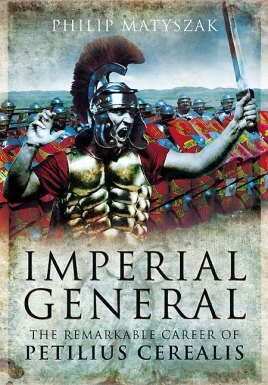 Petilius Cerealis is one of the few Imperial Roman officers, below the level of Emperor, whose career it is possible to follow in sufficient detail to write a coherent biography. Fortunately his career was a remarkably eventful and colorful one. With a knack for being caught up in big events and emerging unscathed despite some hairy adventures (and scandal, usually involving some local wench) he appears to have been a Roman version of Blackadder and Flashman combined.